Christmas came early for one little girl waiting on a heart transplant. 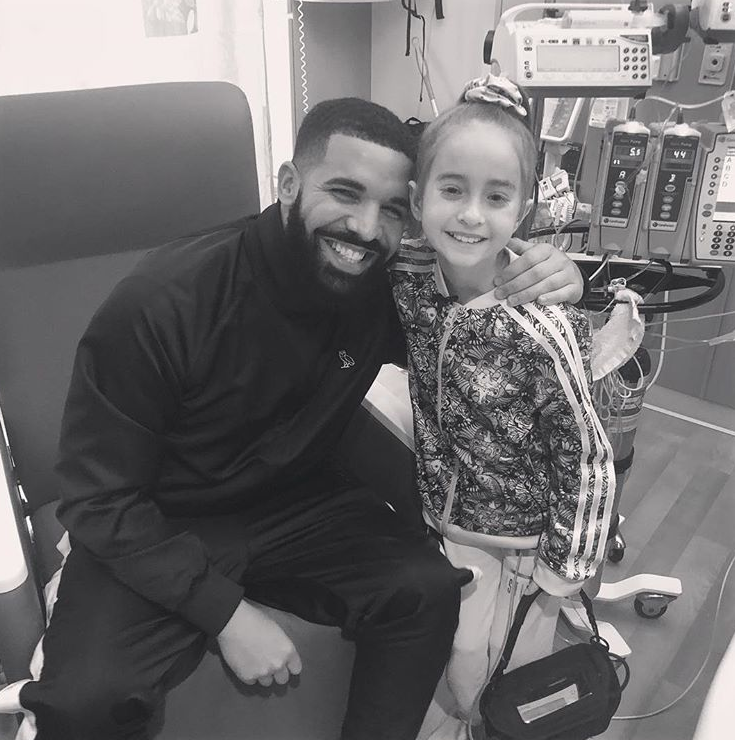 11-year-old Sofia Sanchez, a patient at Lurie Children’s Hospital in Chicago, got the surprise of a lifetime when Drake paid her a surprise visit unbeknownst to her. She went viral after posting a video of herself doing the #KiKiChallenge to his "In My Feelings" track and it caught the OVO honcho's attention. The "Nice For What" rapper snapped pics and make videos with the little girl. We're sure THIS birthday tops them all so far. Drake will take his Aubrey & The Three Amigos tour to his hometown of Toronto tonight. It's going to be LIT.